Tom Rath has written five of the most influential books of the last decade. His first book, How Full Is Your Bucket?, was a #1 New York Times bestseller. His 2007 book, StrengthsFinder 2.0, was Amazon’s #1 selling book worldwide in 2013. 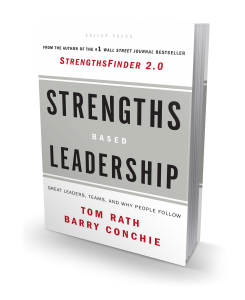 Tom’s most recent New York Times bestsellers include Strengths Based Leadership and Wellbeing: The Five Essential Elements. His books have sold millions of copies and made more than 300 appearances on the Wall Street Journal‘s bestseller list. 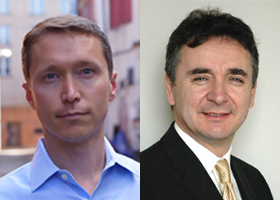 Barry Conchie is sought after by CEOs around the world to assist in aligning business and talent strategies that drive performance. As an expert in executive assessment, team diagnostics, and succession planning, he brings objective measurement and insight to these important leadership areas.